Blocking farm workers from a federal right to organize unions would guarantee, “a continuance of virtual slavery until the day of revolt,” a New York politician warned his colleagues during a hearing in the 1930s. Eighty years later, with Mexicans having largely replaced black Americans in the fields, farm workers lack the federal rights afforded to most laborers — even as they face some of the toughest working conditions in the country. In several states, efforts to expand these rights are moving forward. 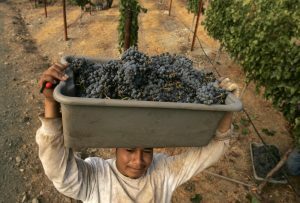 California passed an historic law on Monday entitling them to the same overtime pay as most others, while New York faces a lawsuit for excluding farm workers from a right to organize and also a Senate bill that would change that. But the bulk of farm workers in the U.S. remain excluded from freedoms outlined in the National Labor Relations Act from 1935 and the Fair and Labor Standards Act from 1938 — exceptions said to be written by politicians who represented Southern plantation owners. “The system was dependent on the exploitation of slaves. 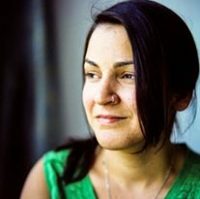 That legacy carries through and directly affects farm workers,” she said. The decision to exclude farm workers from certain labor protections was established during the New Deal Era. “A continuance of these conditions is preparing the way for a desperate revolt,” Marcantonio said. California, with a $54 billion agricultural industry and about 417,000 workers, has by far the most productive farms in the nation. 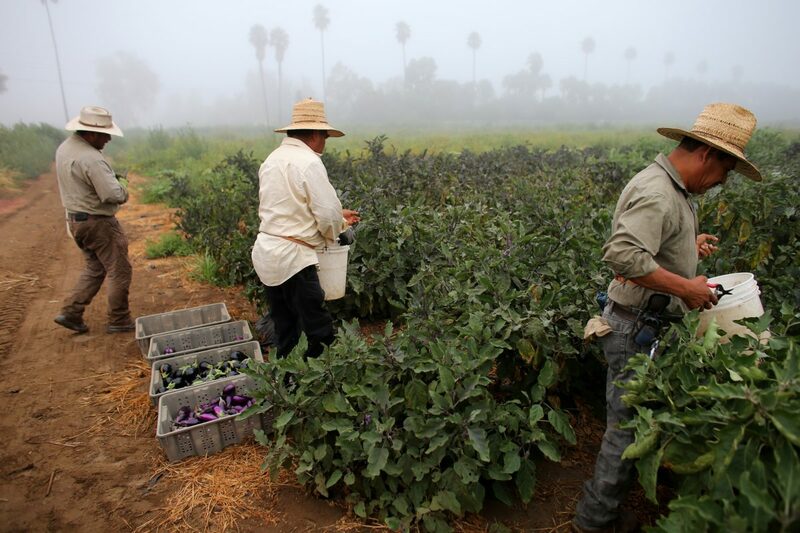 It has led the country in addressing these disparities, most recently with a bill that will expand when farm workers are entitled to better overtime pay. On Monday, Governor Jerry Brown signed Assembly Bill 1066, which in 2019 will start phasing in new rules to provide overtime pay for more than eight hours of work a day, or 40 hours a week. It will lower the current 10-hour-day threshold by half an hour each year until it reaches the new standard by 2022. During his first year in office in 1975, Brown had also signed a landmark agreement that gave farm workers the right to organize. But farm workers in many other states are still trapped in conditions that were outlawed for most others in the 1930s. The agriculture industry was and continues to be one of the most dangerous in the private sector. In 2011, 570 of them died, which is seven times the rate of the national average among workers in private industries. They often support families off meager wages and live in isolation during seasonal work. And since many are undocumented, they often live in fear that any grievances could get them deported, said Gray. “It almost replaces the need for racism, because there’s a new fear-based system by the state if you’re undocumented,” Gray said. Law Professor Juan Perea of Loyola University Chicago traced the origins of these laws for the Ohio State Law Journal in 2011. The New York Civil Liberties Union echoes Perea’s sentiment in a civil suit against New York that it filed in May. It states that a worker at one of New York’s biggest dairy farms was fired for meeting with people who help farm workers organize to talk about getting English classes and gloves to protect the workers from dangerous chemicals. New York Attorney General Eric Schneiderman and Governor Andrew Cuomo agreed that it was unconstitutional, announcing the administration would not defend the act in court. Gray pointed out an irony in this: the bureau is only able to intercede because of farm owners’ right to organize. But she said that empowering farm workers with the same civil rights as most other laborers could be a hard hit to the farm owners’ bottom lines, which are already depleted by the rising costs of resources and competition from other countries. Any proposed changes are always met with mountains of resistance, she said. Which may be why Brown signed the overtime legislation without providing comment. A spokeswoman told the Los Angeles Times that he is letting the signature speak for itself. His decision was commended by the U.S. Department of Labor, which is the arbiter of the wage bill that excludes farm workers. In a follow-up email, a spokesperson said that Congress wrote the federal statute that the department is tasked with enforcing. The National Labor Relations Board, which enforces the federal act that protects employees who want to organize, said the same thing — unless Congress changes America’s slave-era agricultural worker rules, it’s not part of the board’s job to protect them. “We enforce legislation as it is enacted,” said the board’s spokeswoman Jessica Kahanek in an email.